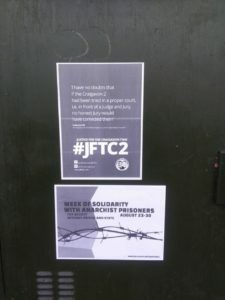 The Craigavon 2 need support and solidarity, they are are going on their tenth year of imprisonment. 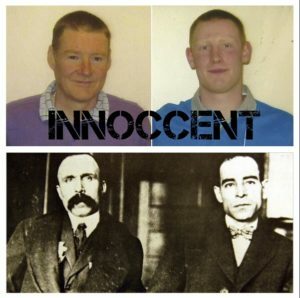 Brendan McConville is a father of two, was 37 in 2009 when first imprisoned, Brendan has to do at least 25 years before being considered for parole. John Paul Wootton was 17 years old when first imprisoned, he wasn’t even an adult and has been in prison ever since, John Paul has to do at least 18 years before being considered for parole. John Paul now describes himself as an anarchist, and so is added to the long list of anarchists in prisons across the globe from Chile to Russia.